And we ended the night with John Rowland and this 8 point! Stephanie, Kelly, David and Carter got this 10.5 ft. alligator that weighed 281 lbs. Carter Dupree got this wild hog. Joel Wells and his big alligator! Joel Wells brought in the next big one. 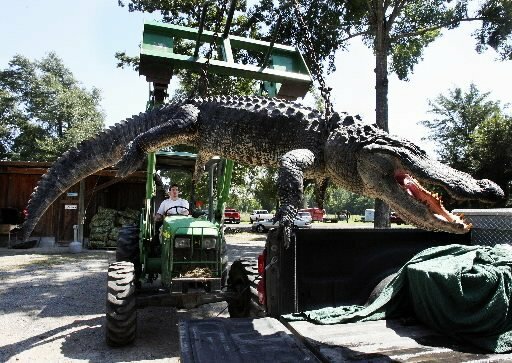 His gator was 11 ft. 9 inches. This one took the tractor. It weighed 636 lbs. Loading the big one! He weighed 560 lbs. So now when you watch "Swamp People" and they pick up a twelve foot alligator that weighs over 500 lbs. with one hand and toss that sucker in the boat, you can be as amazed as I am! Terry Shepard, Joe Szorosy, Joe, jr, Mickey Fuller, and David Robertson brought in a 11.5 ft. gator! Marc and Mathew Wooster brought in a 6 ft. 4 inch alligator! Cordray's is your one stop alligator processor! When we process your alligator, each pack is labeled with your tag number and name. Frying bits come packaged in family sized portions frozen in vacuum sealed bags. 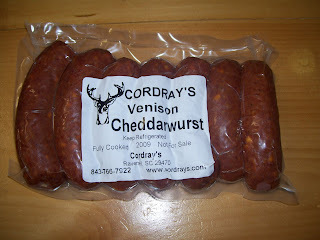 Alligator sausage is Cordray Brother's flavor and packed in 1.3 lb. frozen chubs. For more information, click here. 12 footer on the way! Tomorrow's the first of 4 Sundays that we are open during alligator season! We usually are closed during the day on Sundays, but during alligator season, we are opening on Sunday mornings 9 to 12 for four Sundays. Tomorrow is #1. We open again, as usual, at 6 pm. until 10 pm. Thinking of what kinds of things to do with your catch? How about this cool alligator foot lamp? 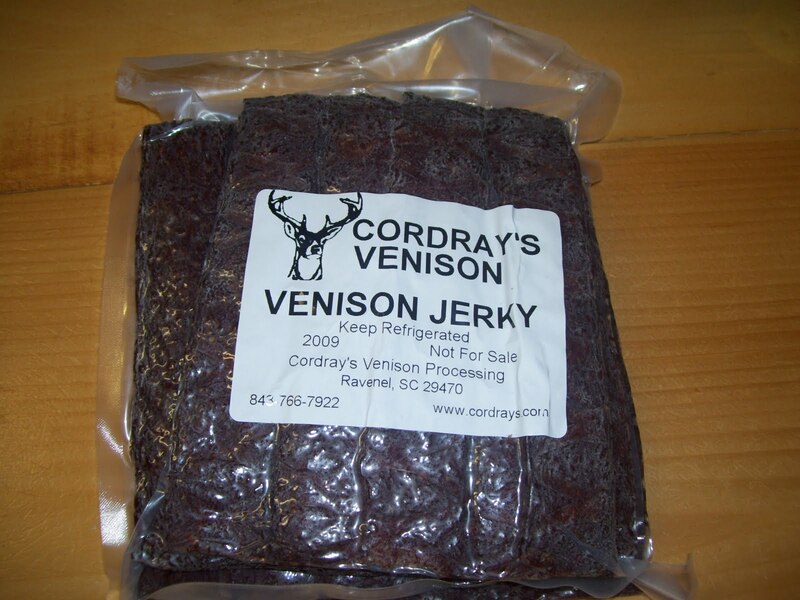 Jerky comes in a 2.1 lb. bag. Need an alligator guide? Contact Tail and Scale Outfitters. Click here to visit their site. Trudy Sease got this big 8 point. He weighed 160 lbs. on the hoof! Alligator Season starts tomorrow at noon! 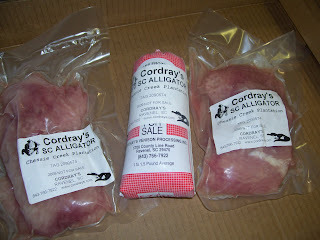 Cordray's is your one stop place for alligator processing. Get all the details by clicking here. Stanley Gamble's 122.8 lb. dressed weight buck is the one to beat this week! Tucker Birch got this big 8 point buck for his first deer! Stanley Gamble's buck had 10 points and weighed 199 lbs. on the hoof! Nice compliment from SB of SC DNR! I purchased a few packages of the raw dog food for our Two Wolfs ( 100lb. Gray and 60lb. Arctic) they both seem to like it a lot. 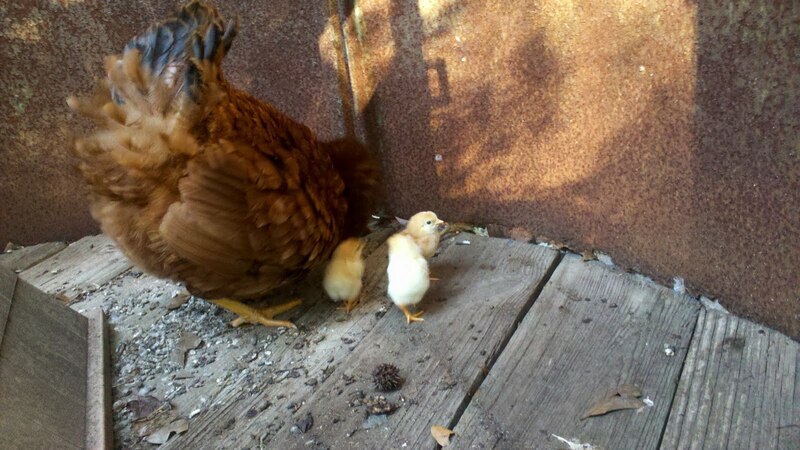 They almost see it as a treat. We serve them about one half a stick each, although the gray wolf usually gets a little more once a day and then for their second meal they get the Kibble which they are now being kind of stubborn about eating. I think they would prefer only the raw meat. All in all I think it is great! 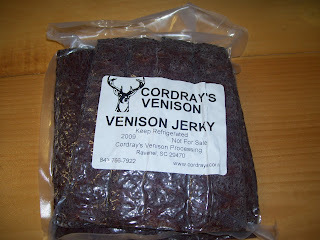 Can’t wait till we can someday use the venison. Thanks for the great product. 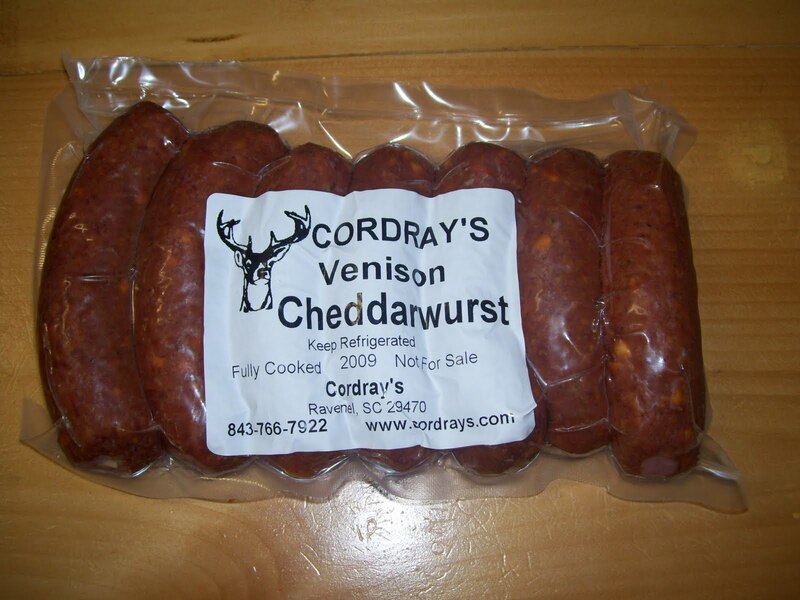 Venison Cheddarwurst is my favorite! Cheddarwurst is a delicious cheesy smoked sausage. It comes packed in a l lb. vacuum sealed package. Order by the pack with no minimums! Did you know that this blog has had over 13,000 page views in 30 days? Looking for an alligator guide? Try Taylor Outdoors! Click here for more info. Harry Hayden's big buck from this morning - 182 lbs. live wt. and 117.6 lbs. dressed weight is the buck to beat in the BUCK OF THE WEEK contest! After puppy classes with The Learning Canine, Brandy is practicing her down and stay with distraction at Lowes West Ashley. 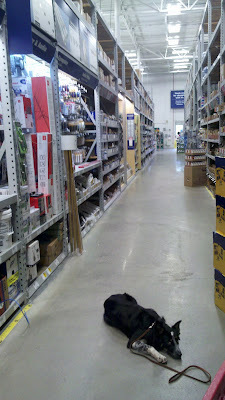 What other local stores allow dogs? Want more information on terrific puppy classes and dog training? Contact The Learning Canine. Harry Hayden got a double this morning! One buck weighed 182 lbs. and the other, 145 lbs. Jim McLain's buck was 19 inches wide and was an 8 point. Bill Baughman's 9 point buck weighed 157 lbs. Karie Grooms got her first deer last night - 103 lbs. 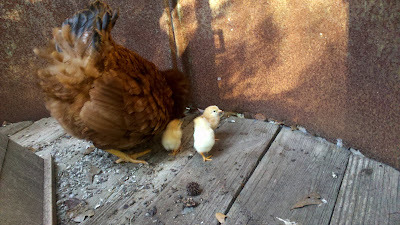 Three new chicks just hatched! Another chapter in my book, "This Cannot Be Normal" - Today we're making bear burger. Taking frozen meat just one more week! Sept. 14th is the last day! Once the doe tags come in, we get overwhelmed with fresh meat and can't handle frozen meat. So we limit our frozen meat to the first month of the season, Aug. 15 to Sept. 14th. We take it again at the end of the season, but all on one day, January 7th. That's the Youth Hunt Day, so we check in youth deer and frozen meat all day. That's the last check-in day of the season. So if you have some frozen hams that you want to make into summer sausage, bring them before the 14th! Robert Freeman got this big buck on Sunday night! Venison Summer Sausage comes in 4 different ways. Hudson Rogers got a 12 point beauty! Kenneth was in the Charleston Mercury. Jay Stewart got this big buck Sunday night!